This week I have a word from new DSP Performance Coach and Lead Hitting Instructor Andrew Selby. A throwback video of one of the the biggest athlete success stories at DSP. And a video of my #1 core training exercise. In the 9th grade, I was introduced to Darius Gilbert and Kettlebell Training Program. Dynamic Sport Performance is driven to build the most explosive, strong, elite athletes by using the kettlebell to develop powerful functional movements. To be different, you need to train different. Since the time I started training with DSP there was a completely unique atmosphere where I knew my development was most important, and truly unlocked my full athletic potential. Beginning in high school, I immediately felt the trunk stability and speed from my workouts. 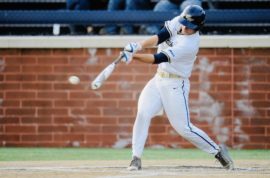 Trunk stability is a crucial part of hitting and hitting with power. With my strength and working the hitting coaches who invested in my swing mechanics, I was able to go from a potential DII or DIII player to a 4-year starter at a DI program. 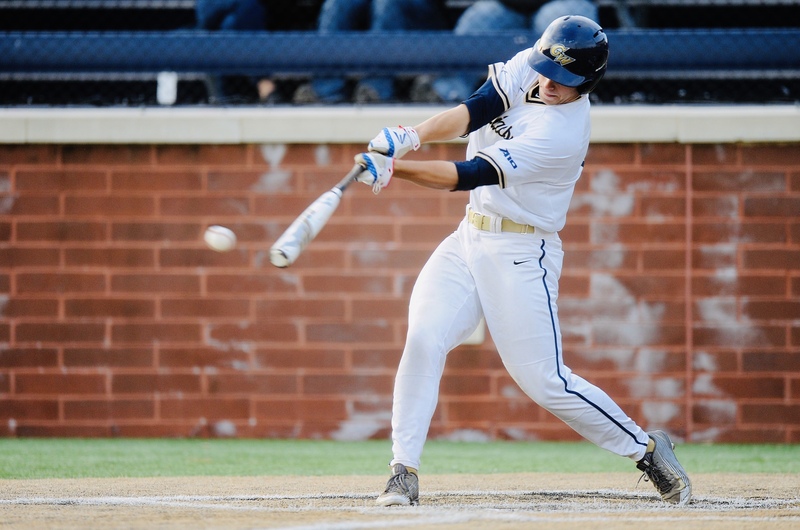 Another key aspect of hitting at a high level is functional speed. To be fast, you need to train fast. The kettlebell gives you the unique ability to train both linear and lateral movements with speed. In order to produce power in a swing, the hitter needs to transform the potential energy in his/her body into efficient lateral force. If the player trains by pushing force through the floor and producing this lateral energy, it will allow him/her to translate that power directly into the swing. The trunk stability and speed coupled with other kettlebell benefits such as injury prevention, increased neurological stimulation and mobility is what truly sets the DSP Swing Mastery Clinic apart. I played varsity baseball at Bishop Ireton High School (’13) and at George Washington University (’17). I was given the opportunity to learn and develop my own swing under some of the most elite baseball minds in the region. Through years of training, I understand the essential mechanics of the baseball swing, and observed how they can be individualized for each player’s own unique abilities. Through all these opportunities, I used the kettlebell skills I learned at DSP to enhance not only my own training, but also the training of the players around me. 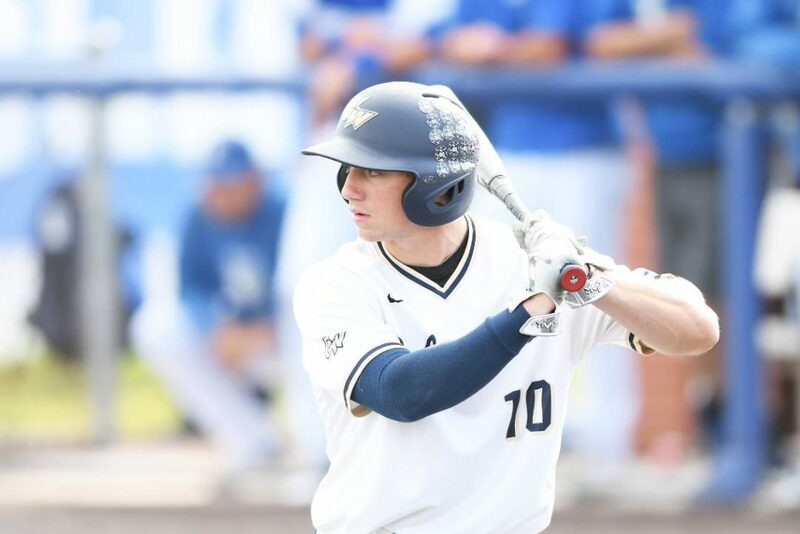 One of the most frequent questions I get from both parents and players is: What is the most important skill you learned playing college baseball, and how is it different from High School? My answer is always the same: The mental game. Developing a mental approach to an at-bat or situation, and understanding how that approach drives direct, actionable thought is often missing from lower level instruction. While mechanics are absolutely important, actionable thought does not only impact your perception of the task at hand, but also drives the body’s physical response. My goal is to improve players swing mechanics, and to introduce them to the mental approach. If you want to be different, train different. Train DSP. This video really made my day! Looking through some old clips on Youtube and saw this one here. I first met this youngster here when he was 9 years old at a Little League game. His mom, who was once a former D-1 Women’s B- Ball Coach at a big time school, heard about our training through a friend. To make a long story short, this young fella is now a 6’6 with unlimited range and one of the purest shooters in the Washington Metro area. He will be playing on someone’s D-1 team in 2021. This video here is 4 years old. I had one of our groups look at it on Wednesday. I also showed them a video of what he looks like now. I wanted them to see how hard work pays off…and if this young fella can become elite at his sport through hard work, then you can too. They loved the video! As for Michael, to see him grow into the athlete he is today is special. I have the BEST job in the world! I’ll get a chance to catch him at my old high school, Episcopal this Wednesday. Rooting for the home team, but I’m looking forward to seeing Michael do his thing. Make sure to check him out!